Here at Lowell Corporation we say “Made in USA since 1869” so often that sometimes we lose sense of how different the world was 150 years ago. 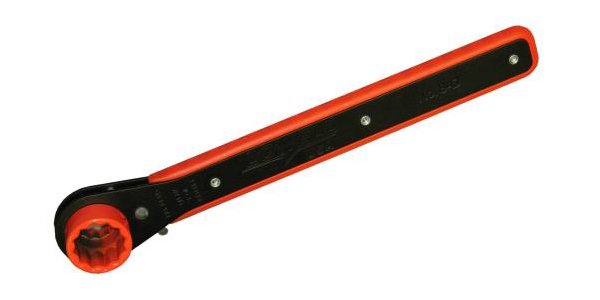 The original patent for our bolt through ratchet wrench was granted on December 6, 1864. 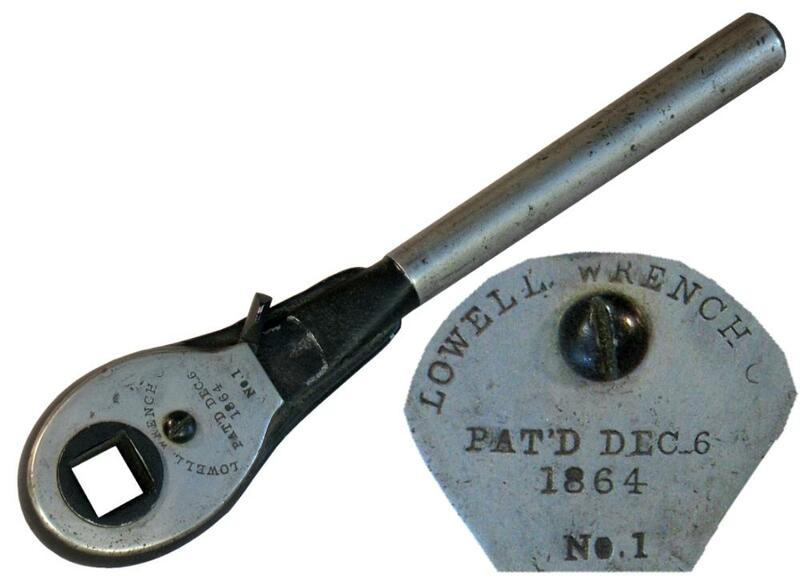 Five years before Henry Sinclair purchased the patent and created the Lowell Wrench Company to make and sell the ratchets commercially. In December of 1864 Abraham Lincoln was President of the United States and this country was in the middle of our Civil War. Homes did not have electricity, running water or central heating systems. It would be 20 years before the first Automobile was patented. When the Lowell Wrench Company was founded in 1869, the Ulysses S. Grant was president, and the United States was recovering from war and the assassination of President Lincoln. The pictured wrench has been displayed in Lowell president David Cummings’s office for years. Today is the first time I really took a close look at it. It is so similar to the wrenches we make today, but also very different in significant ways. Everything except the cover plate and pawl springs are made of cast iron. The cast pawls and shifter are very intricate. Machining the inside of the wrench for the internal parts was accomplished by securing the part in a jig that was passed between machinist down a line of drill presses. Each station machined (drilled or milled) an individual hole or pocket. Today, though we still offer a number of cast iron ratchet arms, clutches and wrenches, we are designing and making a new generation of fabricated steel tools. These new tools have investment cast steel sockets that are lighter and stronger than their predecessors. The handles are made of high strength steel plates that capture a high impact plastic spacer that overlaps the steel plate and acts as an ergonomic grip. This new technology produces a wrench that weighs 1-3/8 pounds with a torque capacity rated at 200 lb-ft.
Here’s to 150 more years of innovative American manufacturing!